Tonight, I am invoking sprite‘s rule for blog timing – if I haven’t gone to bed yet, it still counts as the day I woke up, not the day the calendar has turned to. So, though I am actually typing this at 1:35 a.m. on August 21st, it’s getting backdated to 11:59 p.m. on the 20th. It’s not my fault I’m late, anyway. Blame is squarely on the shoulders of the Nationals. A rain delay + extra innings = one long night at the ballpark. The Nats won in the bottom of the 13th on a kind of wacky play that looked like an error but wasn’t called one. But, a win is a win, especially when it’s against your team’s closest divisional rival. Yup, the next game is no longer tomorrow… it’s today. Ohhh. The price of being a fan! So hope you didn’t have to walk home. 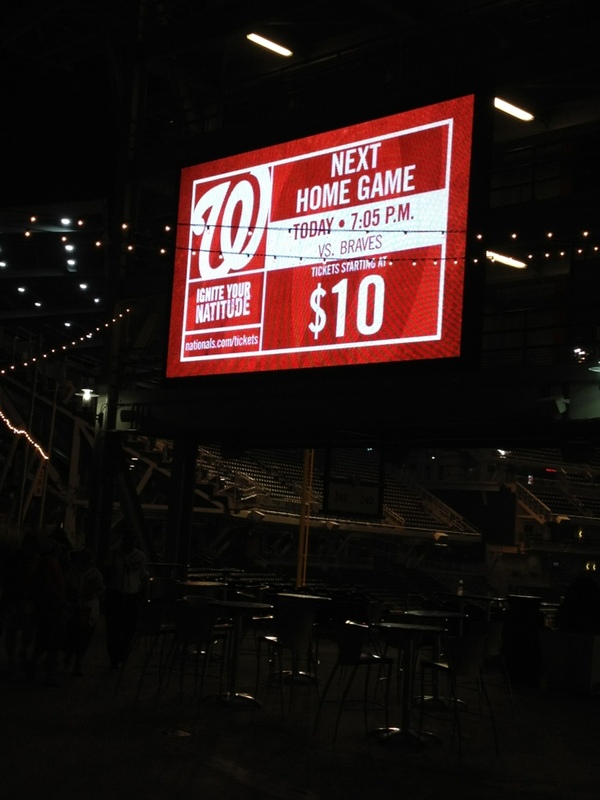 It was a good game, once Zimmermann was pulled (the… guy… is… slow… between… pitches). And it ended in a most traffic-wreck fashion.